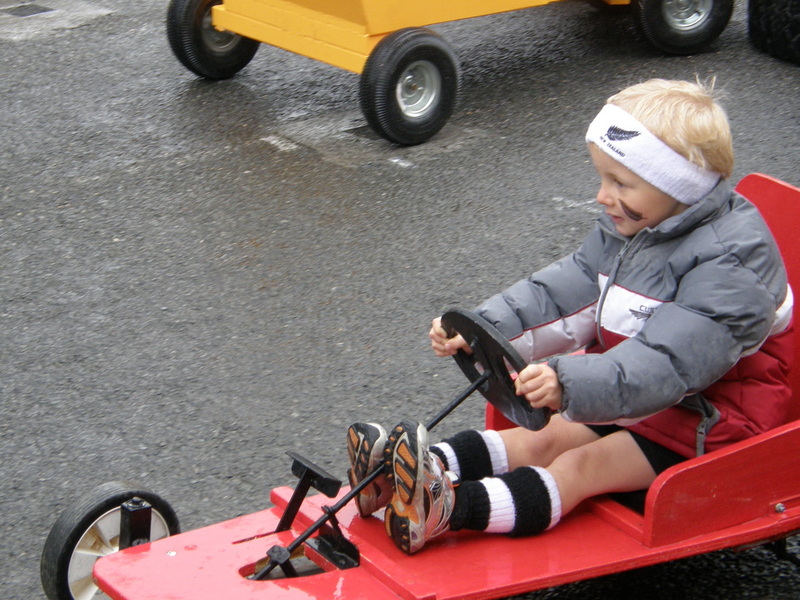 Races started with 5-9 year olds at 10am and progress through, with the Business Challenge starting around 1pm. 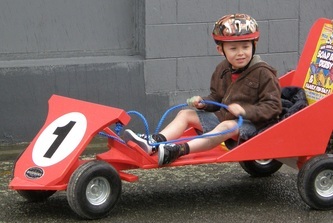 Teams of two enter - one to push, one to steer - you can build your own or borrow a cart for FREE. A fun filled day of high speed entertainment, only $2 per person to enter and free to watch. 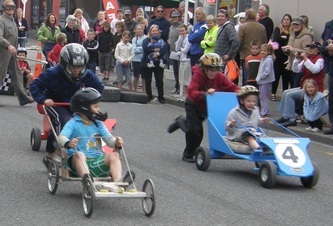 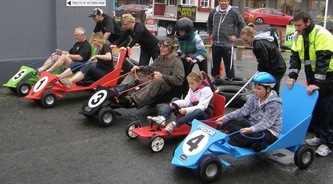 Car displays, change a tyre competition, food and entertainment - a great family day out.